We specialise in installing branded CCTV Cameras and Systems. If you have already bought, or plan to buy an off the shelf CCTV package from a retailer, but need us to do the hard work – then please contact us for a quote – often not as much as you might think! 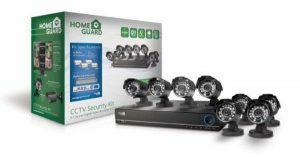 Once you have bought your own CCTV system, all you have to do is simply call us on 0800 211 8310 or complete our contact form for a callback. We will then talk with you to agree a time and date for your CCTV installation as well as agreeing the price. Act now and call 0800 211 8310 or complete our contact form to start the process of getting your CCTV system installed. Our install only services are priced very competitively and you will ensure that your CCTV system is fully working and protecting you and your family, 24 hours a day. We are the UK’s premier provider of install only CCTV services and can provide these services across the UK for all types of CCTV system. Many people like to do their own research and source their own CCTV systems, deciding to purchase their own system on the high street or more often now on the internet. This then leads to the problem of who is going to install your home CCTV system? Once your CCTV is installed and uiip and running, that’s not the end of the story! Now comes the next bit, learning how to use it. If you’ve installed your own CCTV system this may involve countless hours poring through the manual and trying to learn that way. Much better is to have a professional CCTV engineer run through it with you, giving you the opportunity to ask any questions.